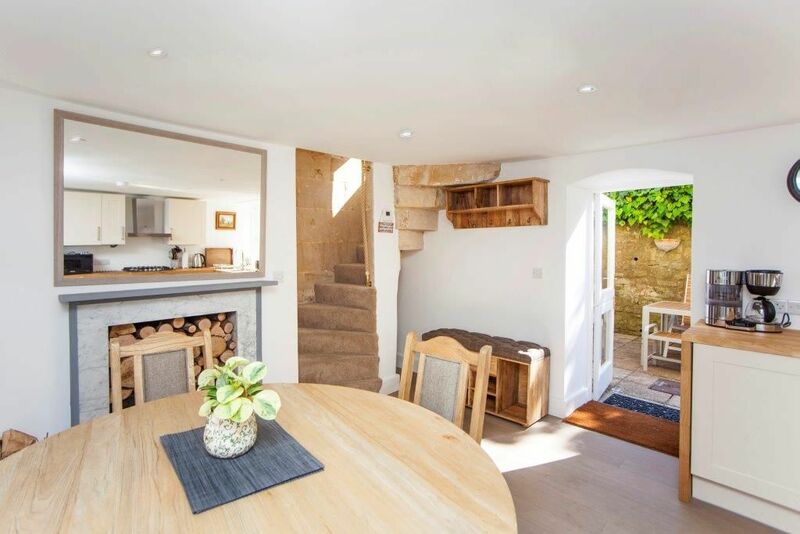 Situated in the vibrant community of Widcombe in a little row of terraces, this thoughtfully renovated home has everything neatly stacked up. 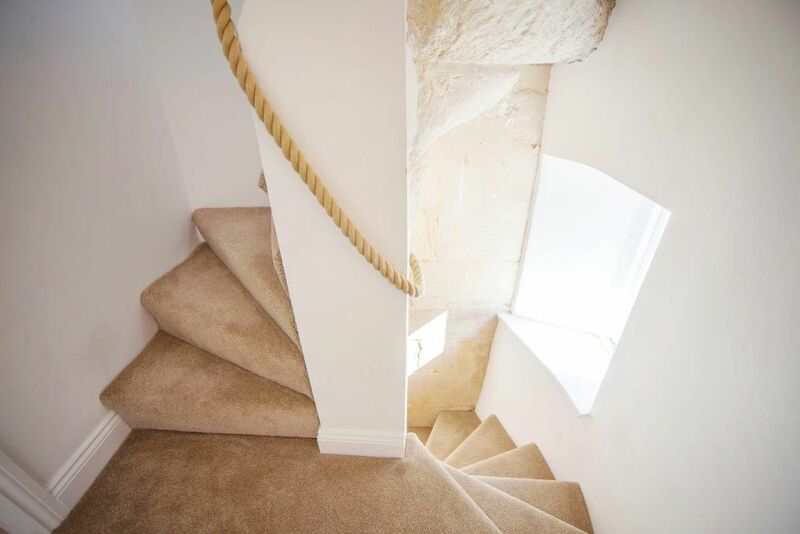 There is a spacious and comfortable room on each of its 3 floors, all of which are connected by an impressive and original winding stone staircase. 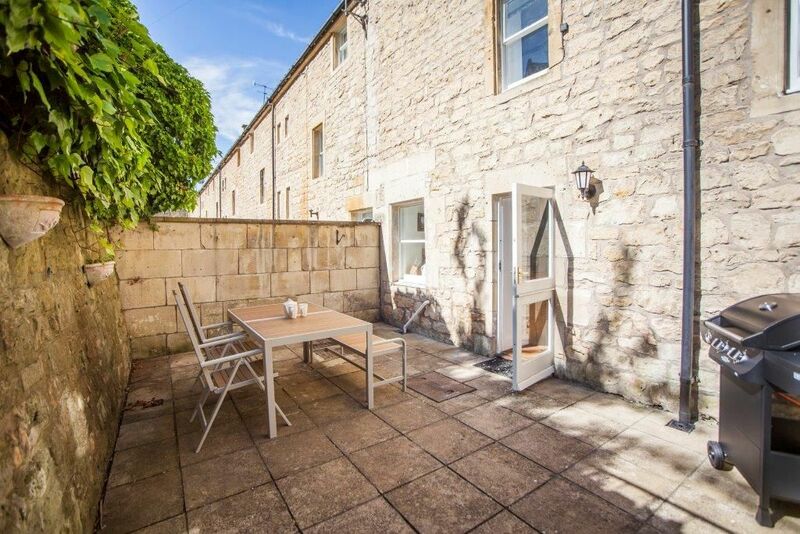 Beside the kitchen is a small walled courtyard equipped with a gas BBQ for alfresco dining. 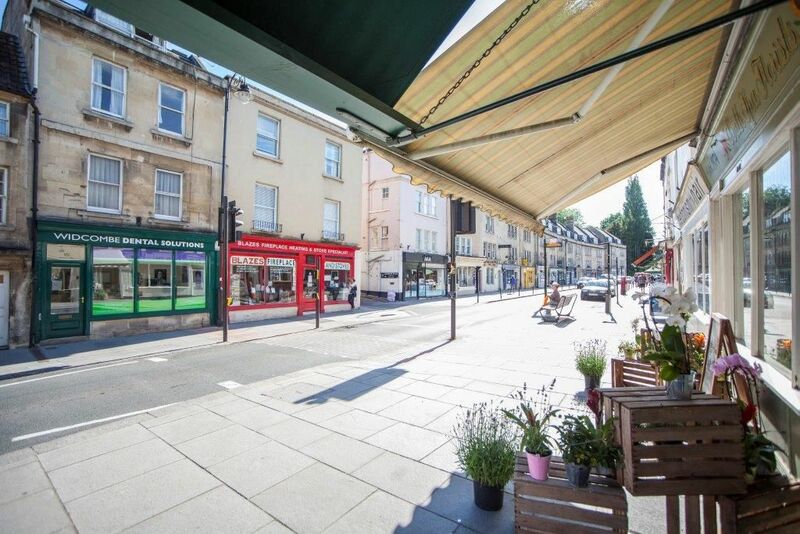 Widcombe Parade around the corner has good pubs, fine dining, mini supermarket, coffee shops and take-outs. 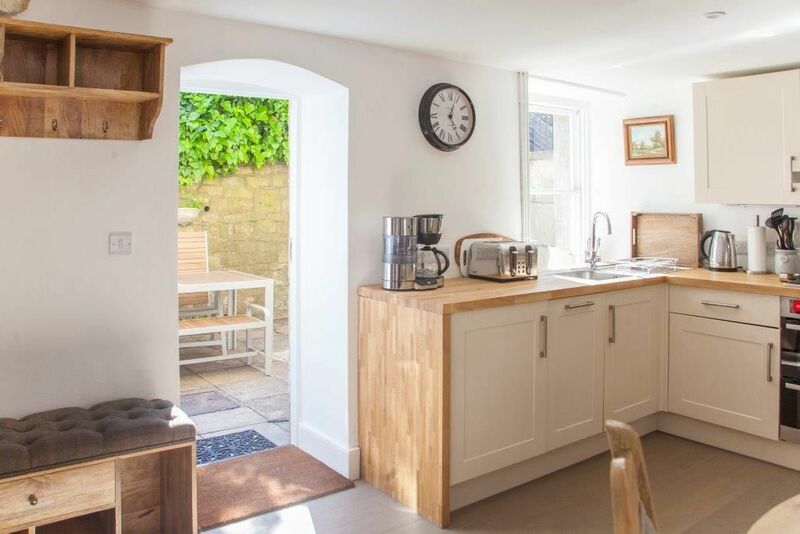 The pavement entrance leads directly into the large, bright fitted kitchen with a glazed door and window onto the courtyard. 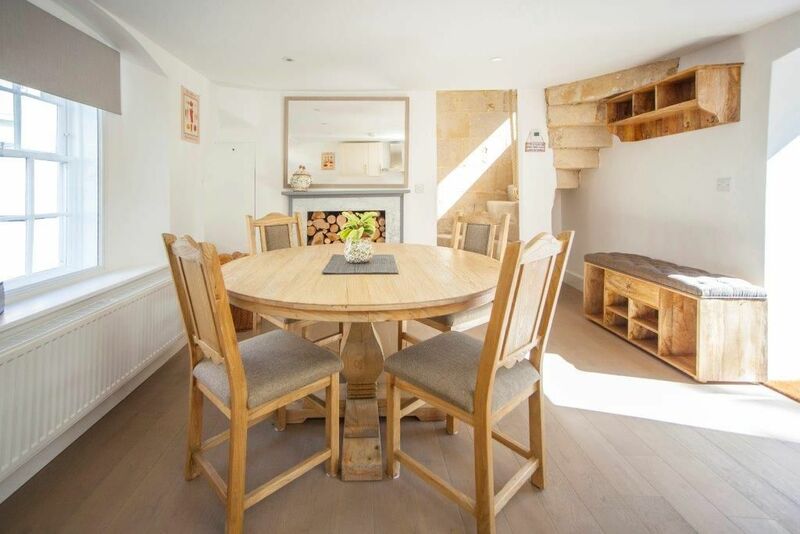 There is an original and ornate, cast iron fireplace packed with decorative logs. 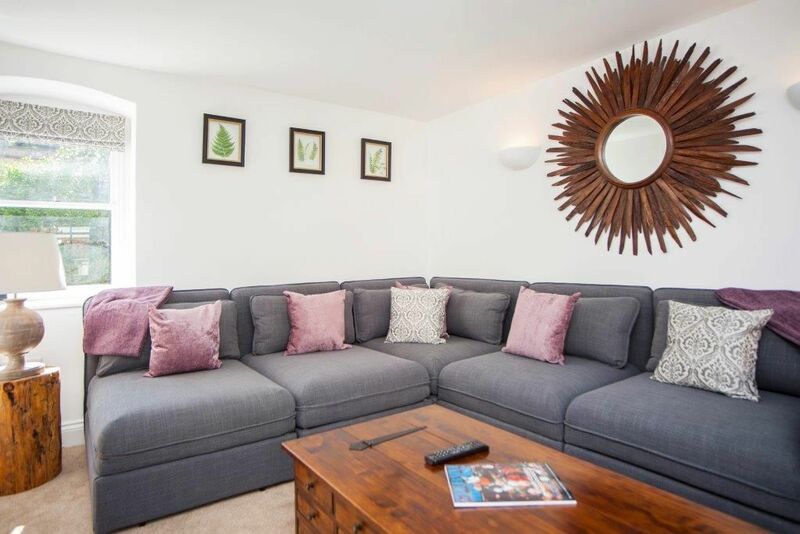 Beside this is a handsome circular wood table with 4 upholstered chairs. 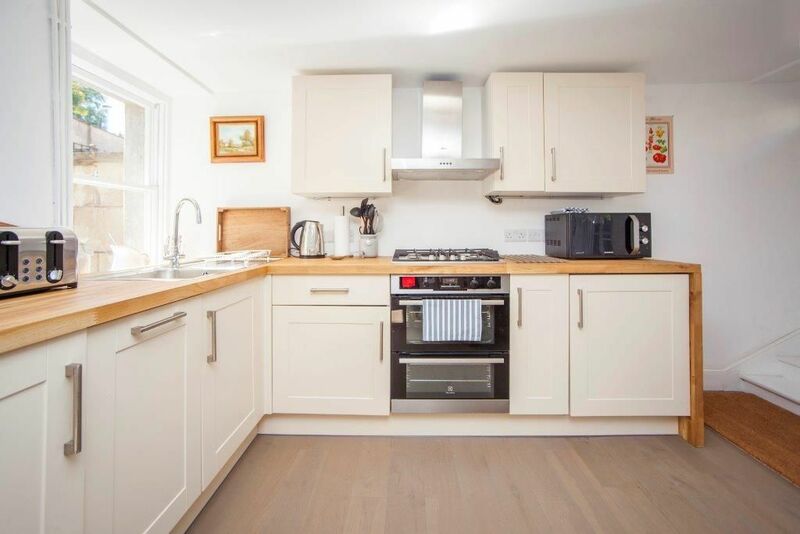 The kitchen is equipped with a gas hob, 2 electric ovens, microwave, a small fridge with freezer compartment, a small dishwasher and a washing machine. 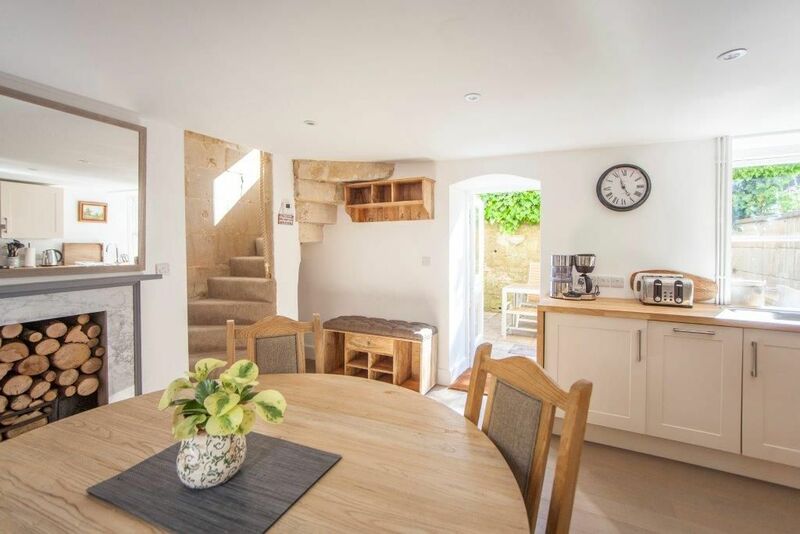 There is a coffee machine, a digital radio and plenty of crockery and cooking utensils, with utility items stored under the stairs. 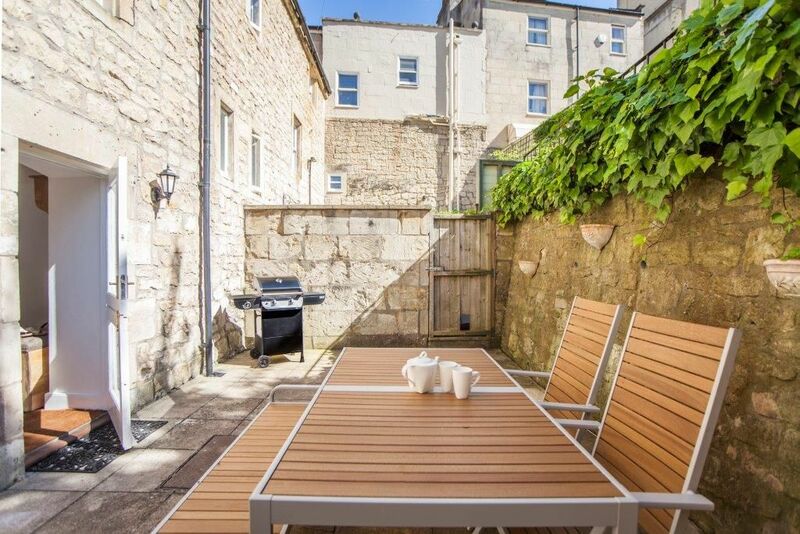 Outside, in a small courtyard topped with ivy, is a large table for 4 with two chairs, a bench and a gas BBQ. 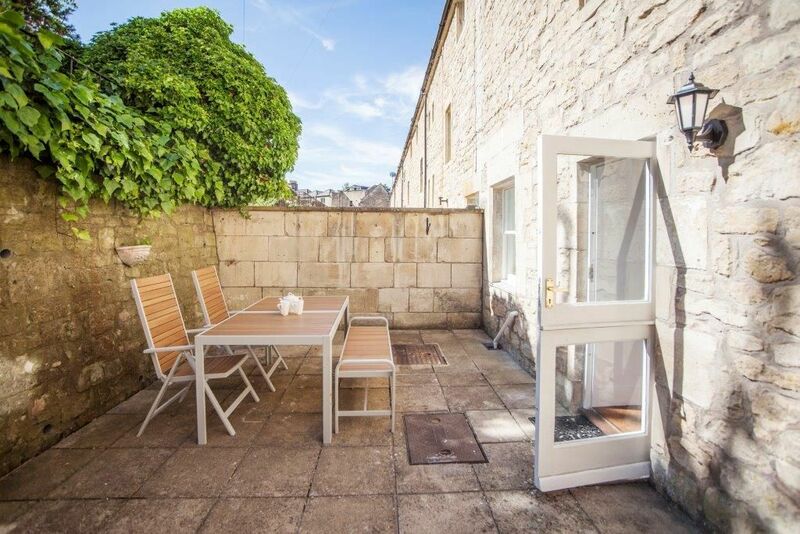 Above the courtyard a steeply terraced garden path with tumbling greenery, leads up to a private access road with allocated parking for 1 car. 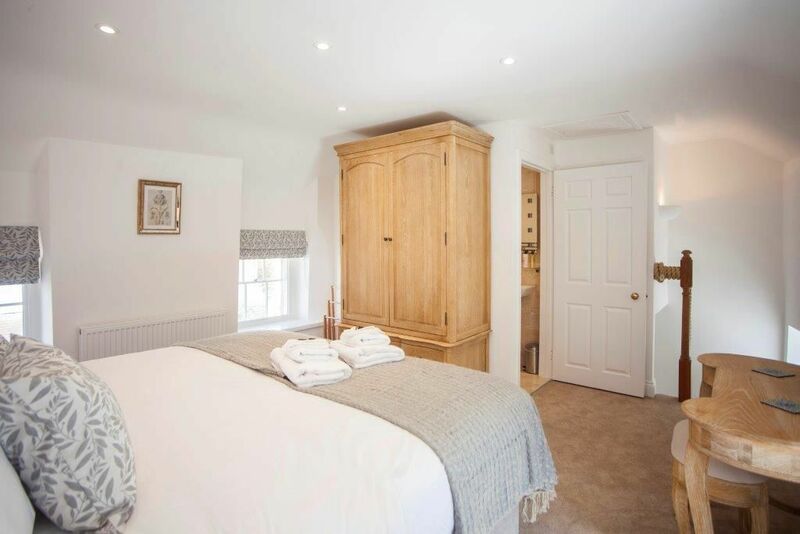 All the rooms have deep front and rear original sash windows, with thick Bath stone walls and treads that are still visible all the way up the atmospheric narrow staircase. 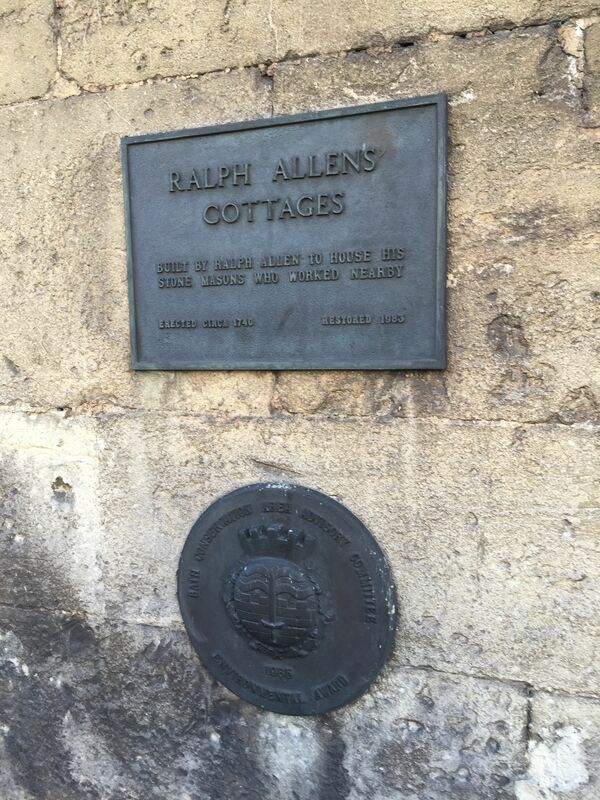 It could have been designed by Ralph Allen himself, to showcase his local stone mines from which Bath was built. 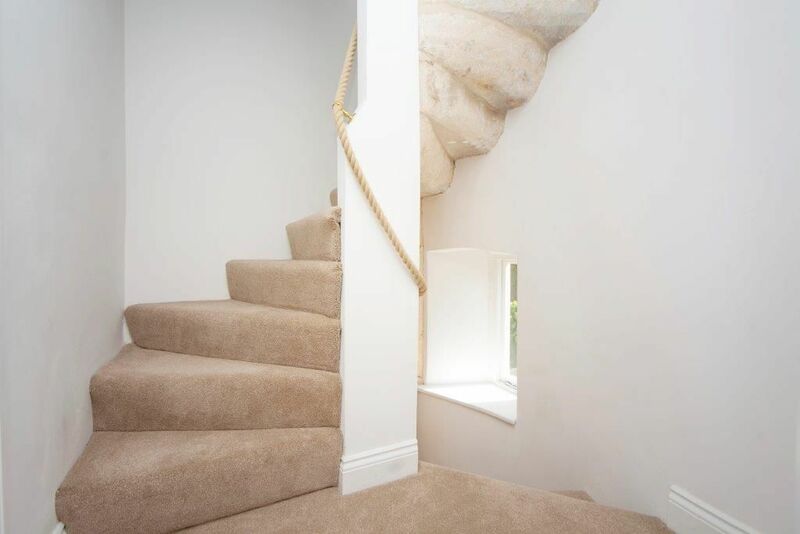 Carpeted and cosy, the first floor is now a living room and cloakroom and on the second is a bedroom with en-suite shower room. 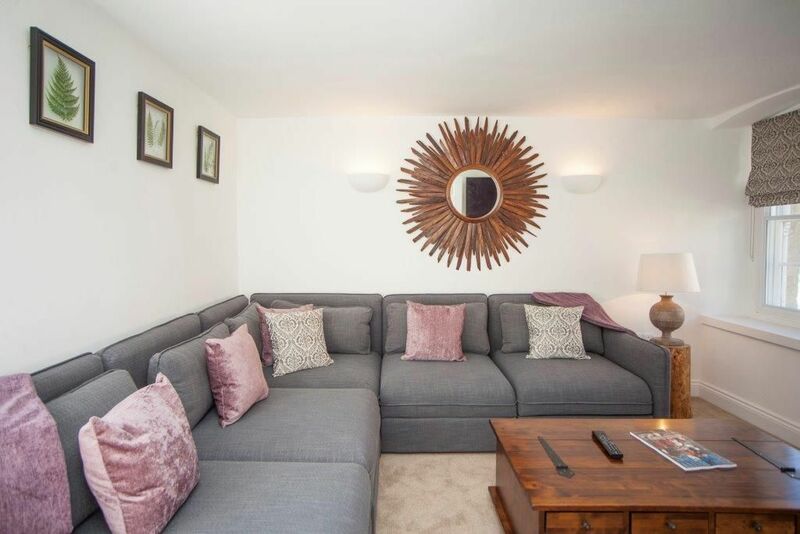 The stylish living room in deep grey, dark wood and amethyst has a large indulgent ‘L’-shaped sofa for 5. 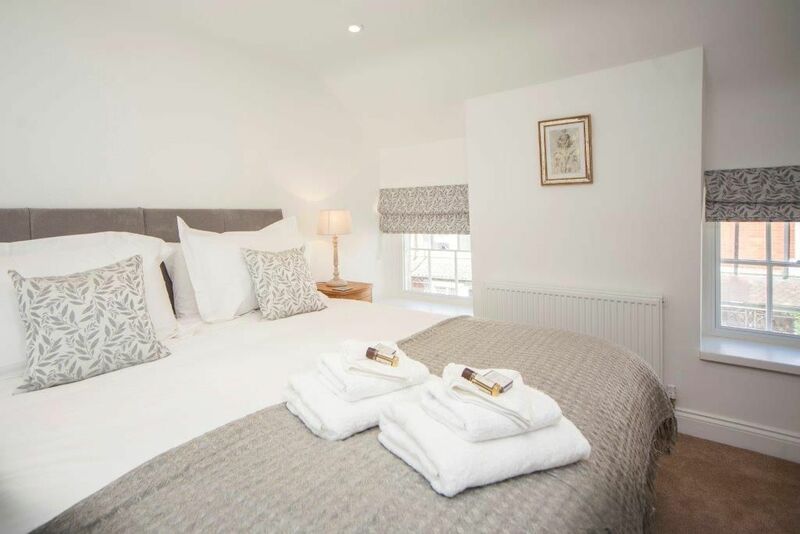 This can be made up as a double sofa bed, or two single sofa beds. 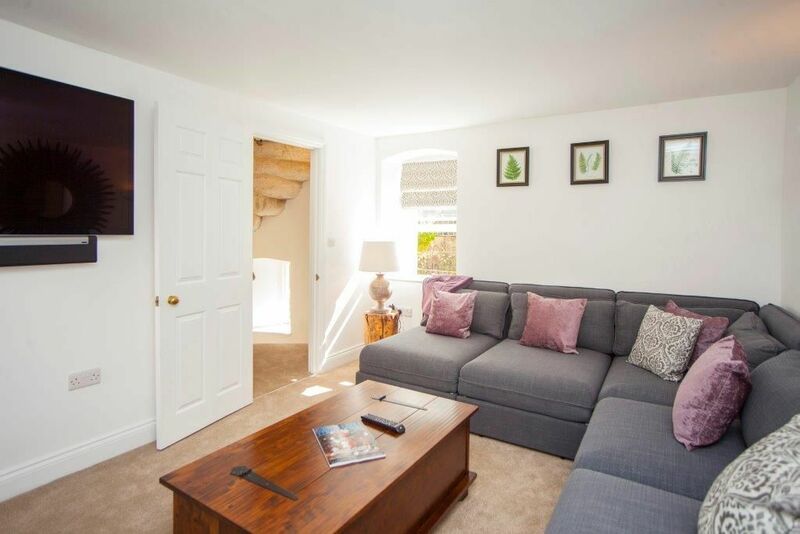 On the wall is a large TV and Sonos sound bar, with Netflix for movie nights and WI-Fi. 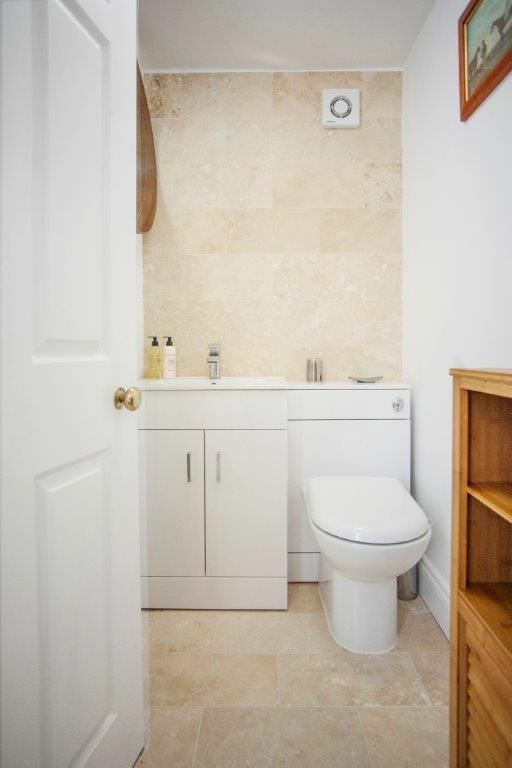 On this floor is a contemporary cloakroom tiled in travertine. 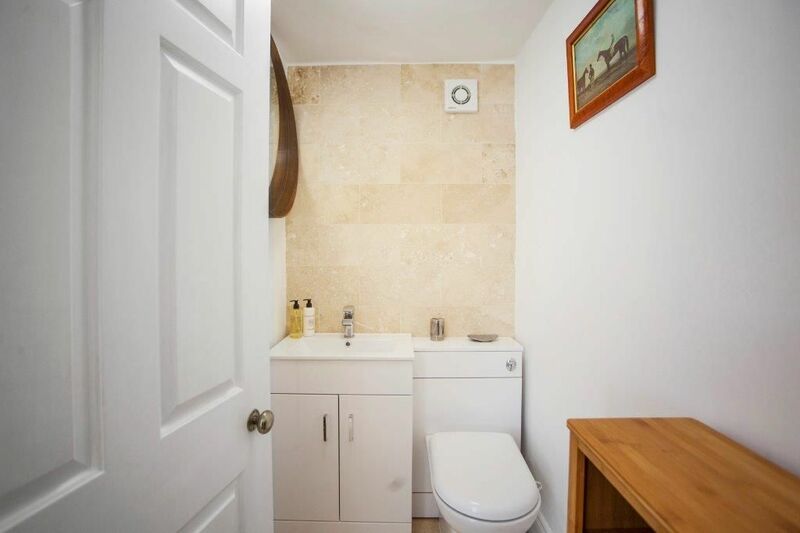 There is a large hand-basin with storage under, a WC and an additional small storage cupboard for toiletries. 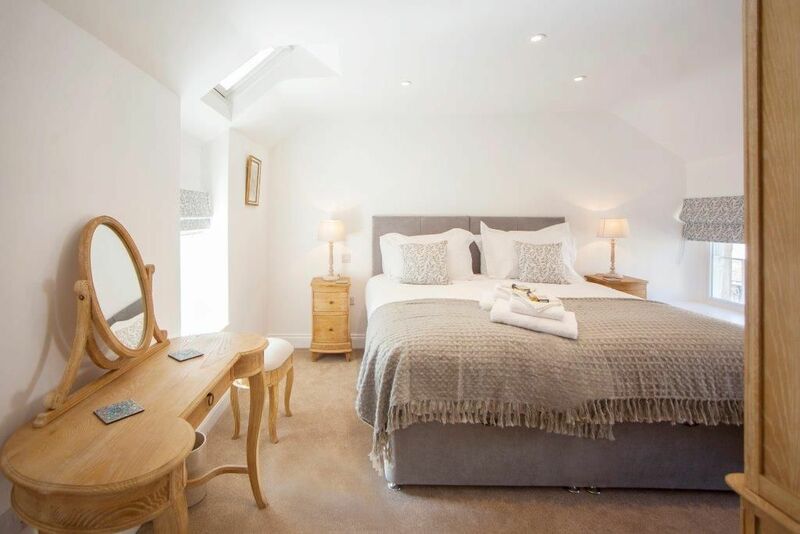 On the top floor under the eaves, is an elegant double bedroom in soft greys, with pretty limed oak furniture. 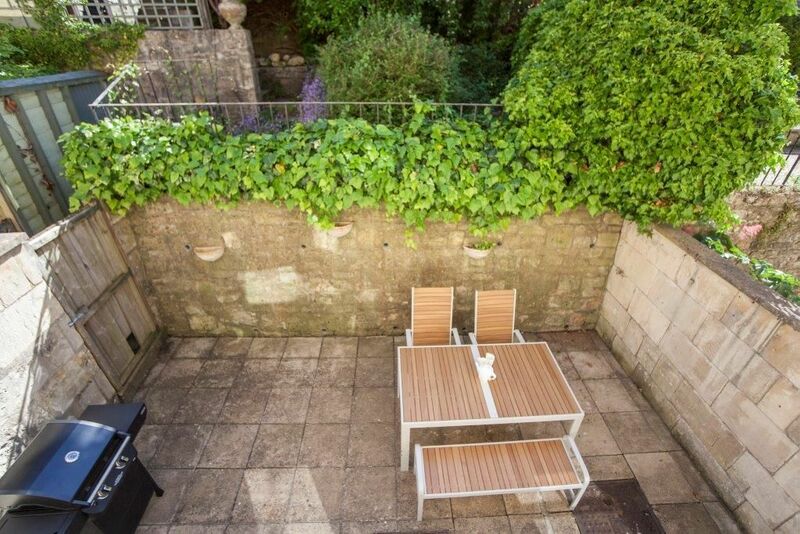 There is secondary glazing to the front and views of steep terraces and little gardens to the rear. 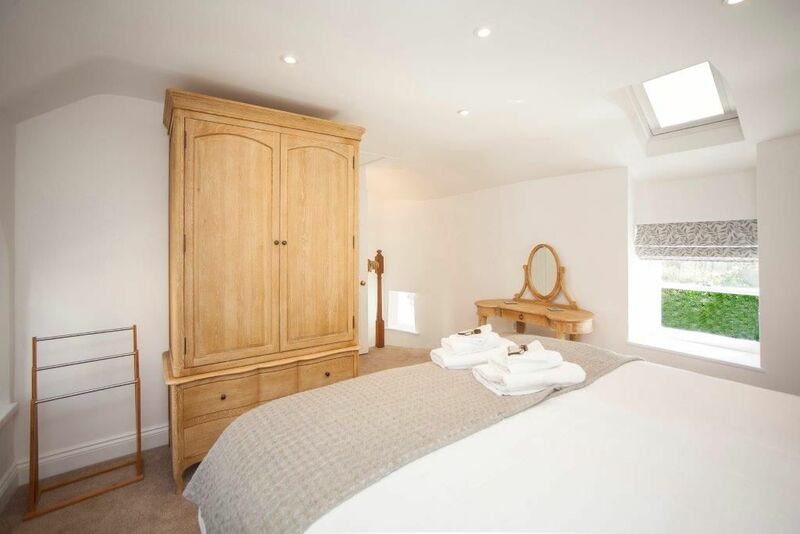 A large wardrobe has shelves and drawers for further storage, along with a dressing table and stool, hairdryer and clothes rail. 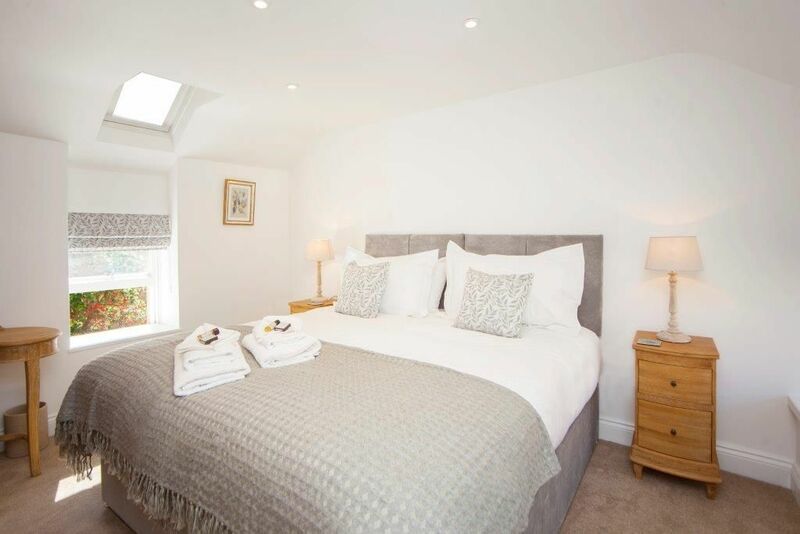 The bed can be made up as either a 6’ superking or 2 single beds to suit your requirements. 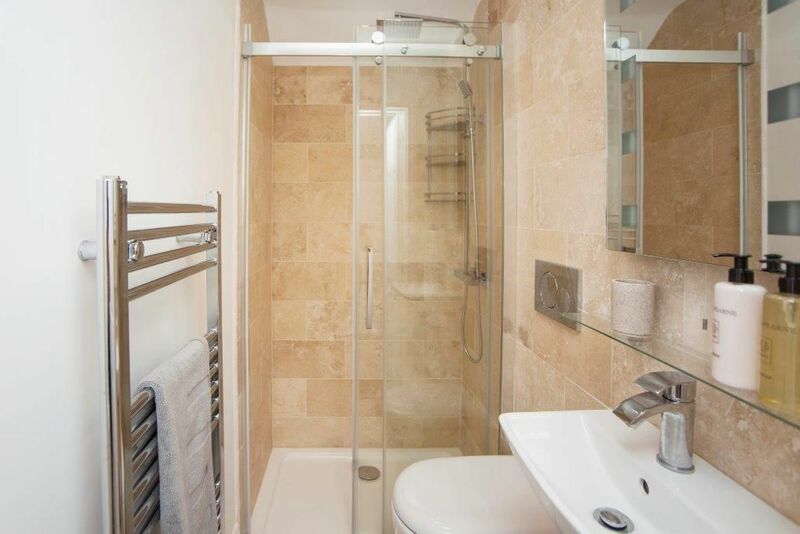 The en-suite shower room is tiled in travertine and has a walk-in shower with overhead rainfall or handheld set, a small hand-basin and WC. 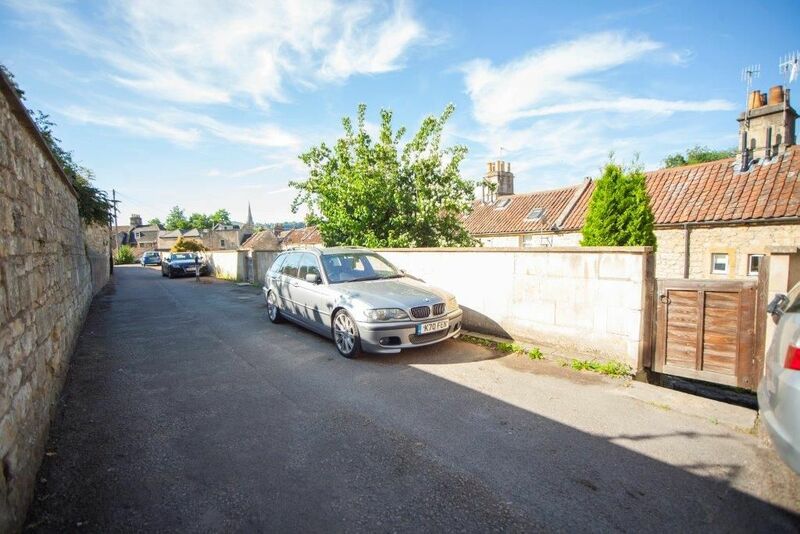 The property has a private parking space for one car behind the property. Please note, it is a narrow lane if you have a very large car. 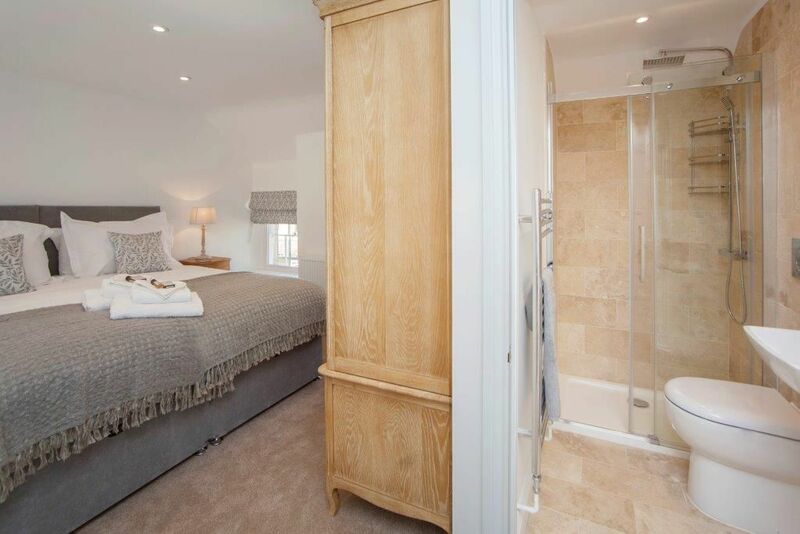 Alternatively the Bath Spa train and coach stations are less than a 5 minute walk away. 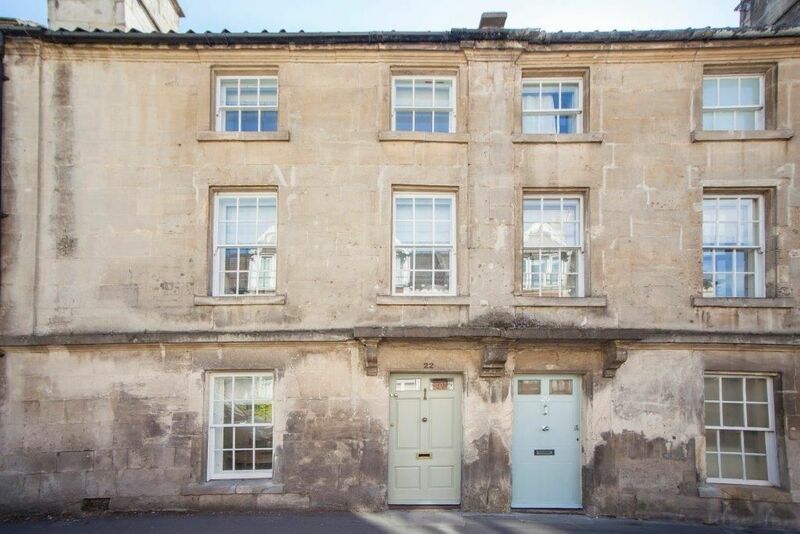 Bath city high street is within a 5-10 minute stroll and has everything you need including Marks and Spencers food shop. 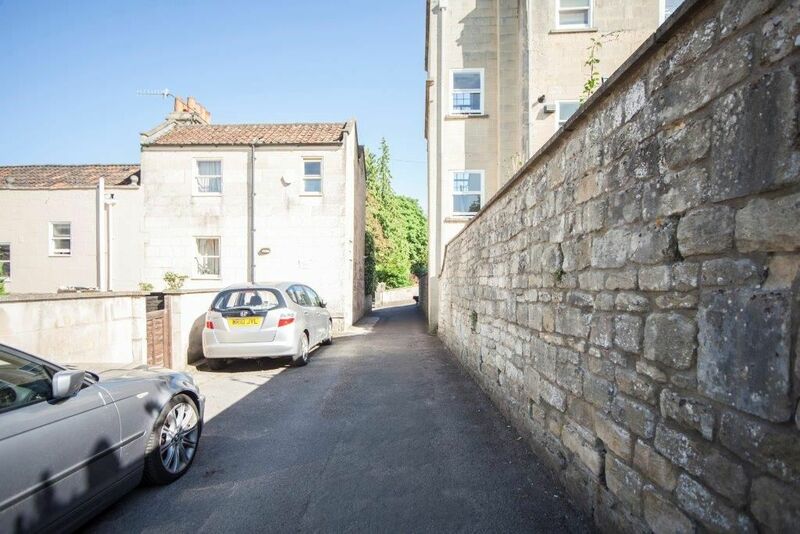 In addition, the local facilities in Widcombe Parade around the corner are very good and include a newsagent, chemist, a couple of coffee shops, hairdressers, florists, and several pubs, restaurants and Indian, Chinese and American takeaways. The nearest supermarket is Sainsbury's or otherwise Marks and Spencers on the high street. 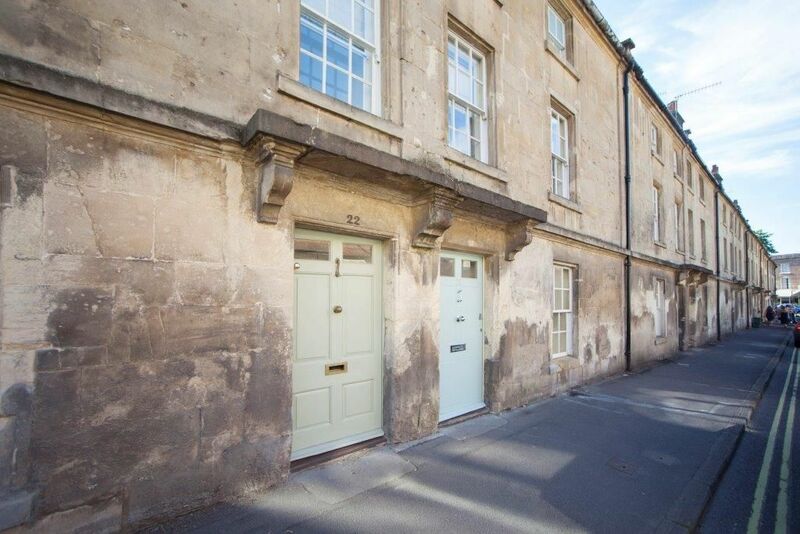 There is also a coop food shop in Widcombe parade just around the corner from the property. 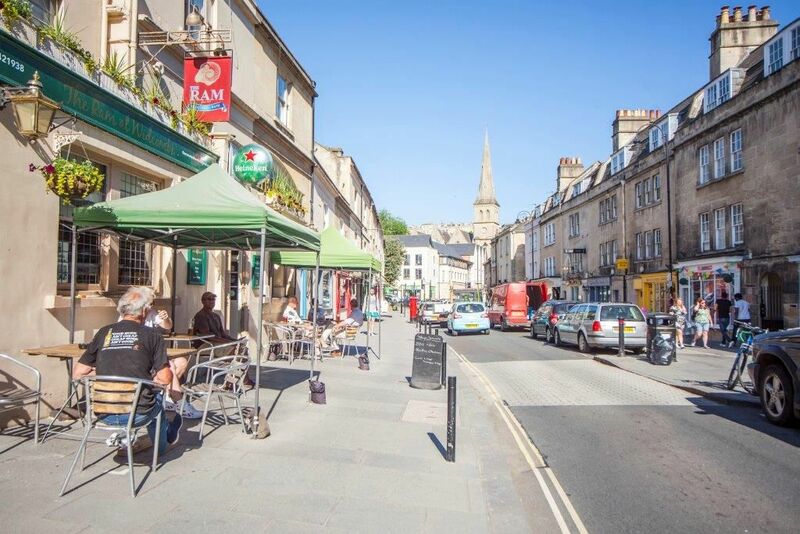 The City has many historic sites and museums and galleries, as well as great shops, bars and restaurants and is easily accessed from the end of Calton Road, down lyncombe hill road and across the road and foot path leading you to the Bath Spa train and bus stations at the bottom of the high street. 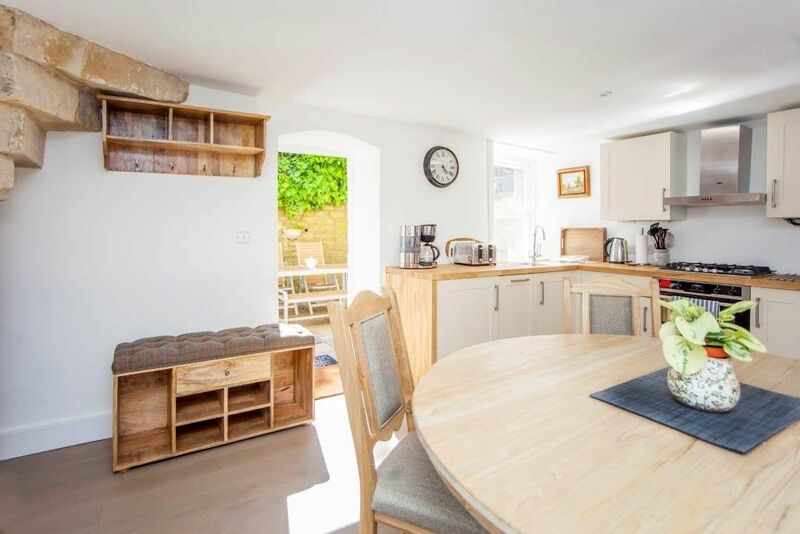 Bath Narrowboats rent barges and bikes to explore the city or the Kennet and Avon canal and towpath. 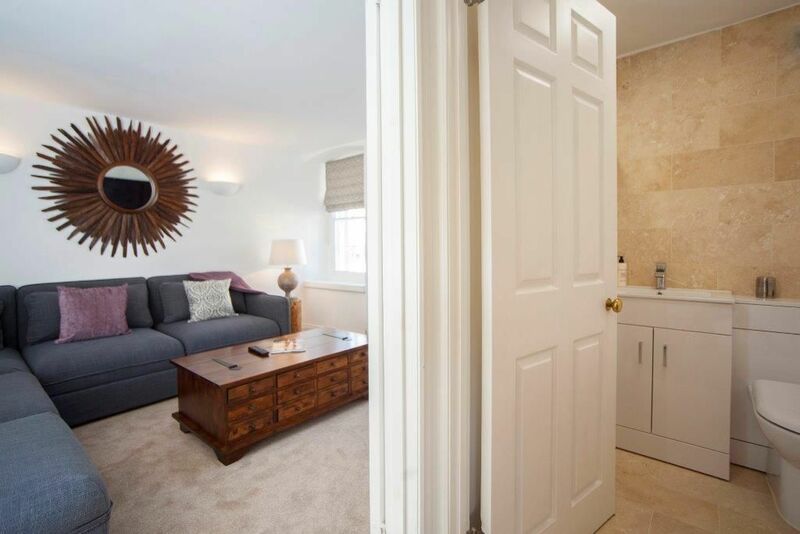 After all the activity, pamper yourselves in the piping hot pools of the Thermae Spa, or enjoy a night at The Theatre Royal or Komedia Comedy Club.